Butterfly Updates are just fun, weekly updates to let others know about what's up in the book world and highlight some things going on that you might not already know. This might include a promo, a guest post, a feature or upcoming events information. Any ideas for what should be included for the following week or you would like to be featured, please contact me. First up this week we have a guest post by Jonra Springs about his new book Eusta Diddoo, a story of a horse a horse who desires to see the world beyond his farm and ventures off to experience the outside world. Thanks, Chioma! 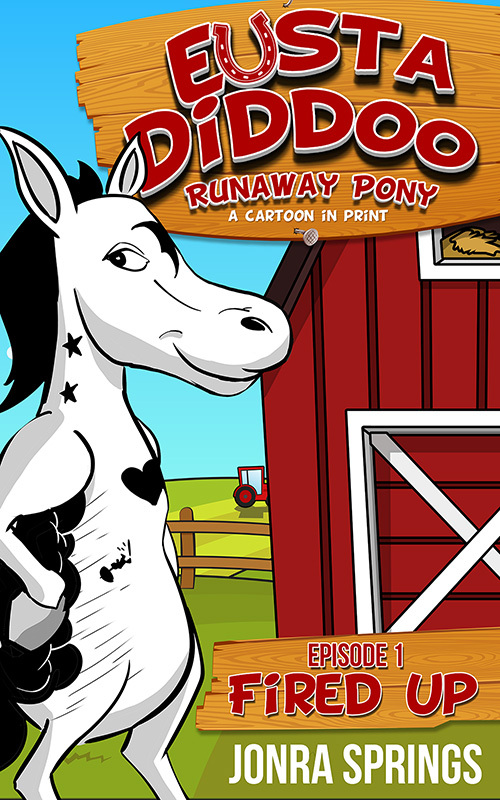 Hello I’m Jonra Springs, author of the Eusta Diddoo (Yoo’-stuh Did’-doo) Runaway Pony series. I moved to Colorado about 9 years ago after living on the eastern seaboard in a few northern and southern locations. My wife, three stepchildren and I enjoy camping, hiking and outdoor fires in the backyard when it’s warm enough. I worked as a radio DJ and news anchor for most of my career. Then while reading the Left Behind series, I wondered how LaHaye and Jenkins would portray one of the plagues. The answer hit me like a revelation- by putting words on paper. At the time I was writing thousands of words per day to keep up with newscasts for two markets. It was then I realized that I could make anything happen simply by writing it! One of my first loves is cartoons so that’s where I started. Sixteen Eusta Diddoo episodes and a full length movie were drafted as scripts for an animated feature. I’m just getting around to converting these into ebooks now. Reader and reviewer input is helping me make some adjustments to the book that will take place before it's available as a paperback. I am hoping for more reviews, so please consider leaving one on Amazon or Goodreads if you enjoy the book! The first episode lays the foundation. It’s the story of a horse who wants more from life than to work on a grain farm. He gets loose one night and runs into town to discover the economy and his own illiteracy. Then his challenge becomes learning to read and getting a job. Follow Eusta Diddoo as he establishes an amazing double life in the first episode-Fired Up. Most of these characters are purely imaginary, but I modeled one after a boss I dearly loved. This pizzeria manager was so good to his employees. We all enjoyed working for him. On Sundays in summer, everyone who was off would get invited to go water skiing on his boat. He made sure to rotate the schedule so we all got equal opportunities. The guy spoke in a laid back, hip California lingo. I used that along with his good nature as the persona for the character Spot. He’s the owner of the pizzeria Eusta visits. Then I wrote myself into one scene as the teen in the back making pizzas. You’ll see the town and it’s people through the eyes of the pony. Since the series is designed for 8 to 12 year old readers, there’s a realistic portrayal of how businesses work- with the possible exception of having a talking horse around. My blog shows my email address and I welcome contacts from readers. Please visit http://www.jonrasprings.com/ anytime to see what's happening. Feel free to contact me with any questions or comments you have. Thanks for taking some time to get to know me and my beloved horse a little better. And many thanks to you Chioma for having me here in your cyberspace. Eusta Diddoo- pronounced Yoo'-Stuh Did'-doo is a horse with a desire to see the world beyond his owner's grain farm. In this premiere episode, the pony wanders off the farm and discovers the fun of having a little spending cash in town. Follow Eusta Diddoo as he makes regular escapes, learns to read, applies for a job and brings all that he finds back to his stable mates. The magic of animation makes everything possible with a little determination and hard work in Eusta Diddoo – Runaway Pony, Episode 1 – Fired Up. 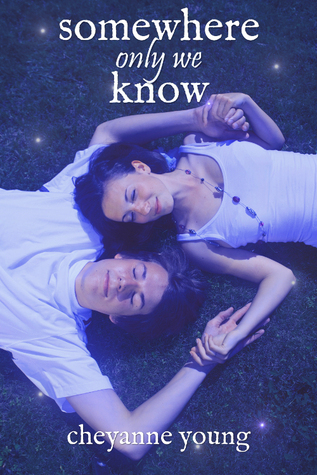 Somewhere Only We Know by Cheyanne Young will be on sale for $0.99 from June 21-28 next week! It is a Young Adult Urban Fantasy and Romance novel. Plus, the cover is beautiful. Sadie Bradford’s life is one anxiety attack after another. All she wants is to escape life's realities for the summer and hang out with her best friend Aaron. But her grandmother has other plans: Sadie will get a job. Sadie will do volunteer work. Sadie will make new friends - friends without brain injuries that make them forget everything...friends that aren’t Aaron. While Sadie struggles to survive her anxiety with all these new changes, she finds an escape when she dreams herself into the beautiful world of Isola Fiona. It’s a place that cures memory loss and anxiety. It’s a place where she and Aaron can fall in love. Geek Girl Pen Pals is a great site I came across the other day when browsing on the internet. Anyone with a passion for various things can sign-up and become a part of a fun, engaging community. They also organize the pair up of people who would like to have a pen pal. They will get you in contact with another member of the site who also wants a pen pal, is in your age group, and shares some common interest with you. Please check out their About Page for more info. "The International Geek Girl Pen Pals Club, also known as the IGGPPC, is a large and thriving group of worldwide geeky friends. Founded in March 2013 by Leslie Hunsinger and Emily Farquharson-Hall, the club was designed to bring together the nerd community through shared interests in all things geeky, a love of stationery, and an interest in making friends. We celebrate each other and ourselves, by learning what we can from each other, and growing as friends every single day." First off I really like the sound of that book. I might check it out! And, secondly I think the concept of a pen pal is really cool. Great post! Thanks! I think the concept is cool as well. I have always wanted a pen pal since I was very young. I hope you do decide to check the book out. Great guest post! As for the book deal I really like the cover and might want to check that out. Oh, and I love the idea of a site which is for international geeks. I mean, how awesome is that? Yeah I really liked the idea of a geeky community and I thought the website was really cool. Also, I really like the cover as well!